Looking forward to the weekend? You're not alone! My schedule doesn't always allow for it, but I try to have something fun planned for every weekend. Even if it's only a couple hours of fun on one day, it's great to have something to look forward to. I don't care if I'm going to the beach, or catching a movie, going out with friends, maybe a spot of shopping, sometimes a party, perhaps cracking open a new game... It's all good! It helps the dull parts of my week skate by a little quicker by thinking about the great times ahead. And there will be plenty of those great times with a Single RCA Socket to 3.5mm Mono Mini Jack Adaptor around! 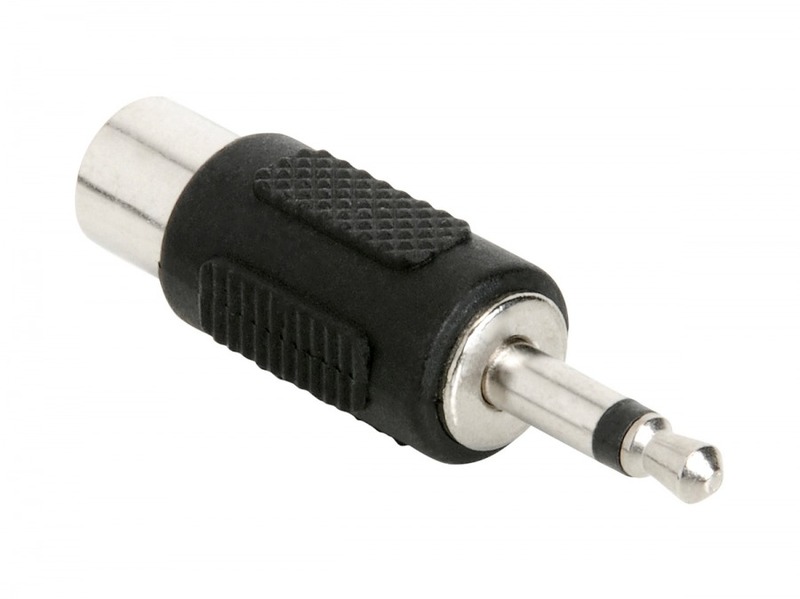 This great little guy converts both ways; by taking any male RCA audio line and converting it into a 3.5mm mono mini jack, OR giving your 3.5mm mono mini jack sound equipment an upgrade by converting its output to a female RCA socket! It's just the ticket for converting between the two. Party on! Slimline Spacer for a neat finish.